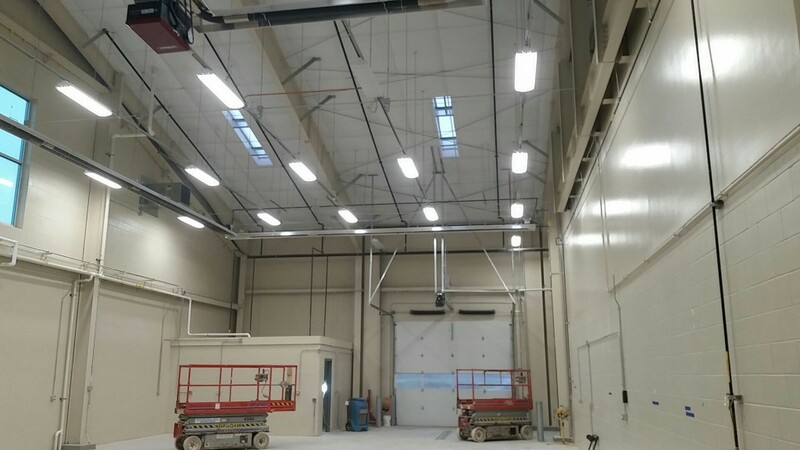 In 2013-2014, Lamp Incorporated acted as Construction Manager on the East Dundee Fire Station. The new fire station is 17,900 square feet. 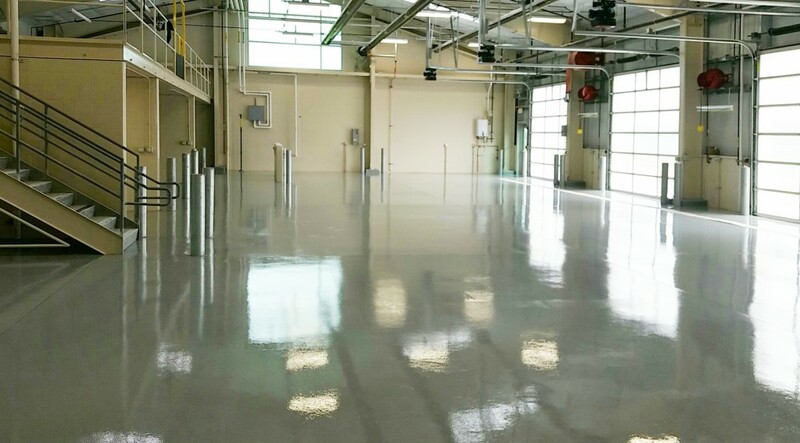 It includes a single-story station with a mezzanine in the Apparatus Bay, a residence area for employees, administrative offices for staff, and a training room, exercise room, and associated work rooms. 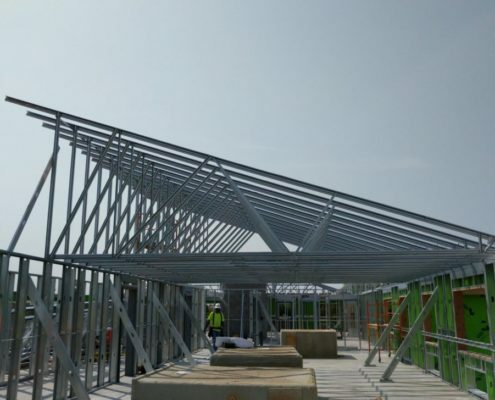 Construction began on the East Dundee Fire Station with excavation in August of 2013 and roof trusses scheduled for fall. The first snowfall of the second snowiest winter ever came on December 9th and continued through the end of March for a season total of 80”. The Lamp Incorporated Superintendent worked six weekends in a row, just for snowfall maintenance. Additionally, it was also the coldest winter since 1872, making temporary heat a priority and getting the building sealed up for the winter. Work forces and hours were increased in order to enclose the building and continue on schedule for the winter. 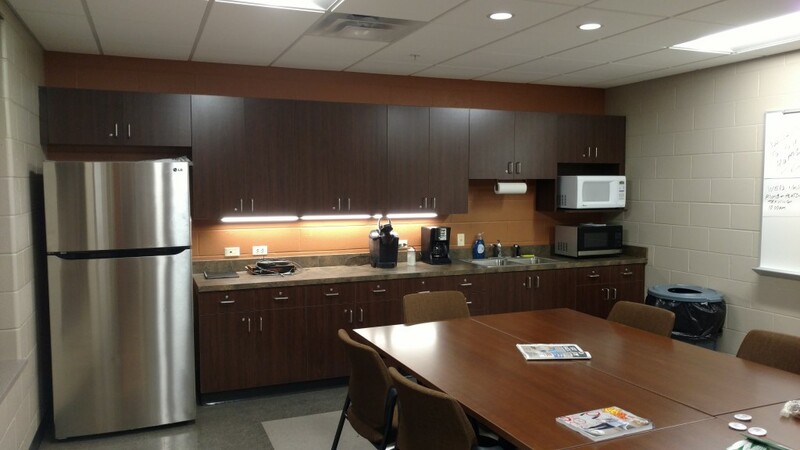 We were pleased to come in significantly under budget on the project. It was budgeted at $4,633,996 and the final cost was $4,358,042. The architect was Jason Estes of FGM Architects. The beautiful building can be seen below. 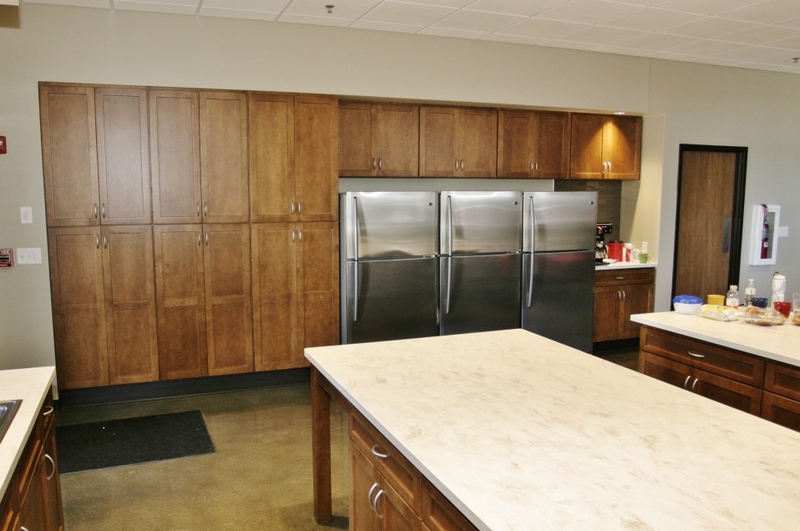 Are you interested in working with Lamp Incorporated on an upcoming project? Contact us today! 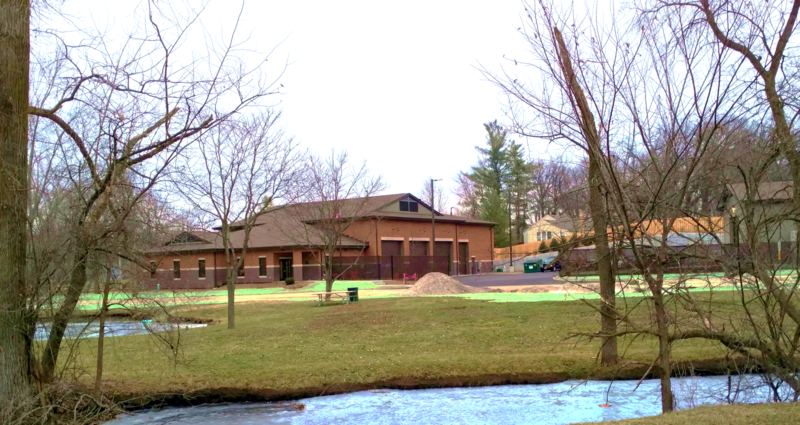 We are pleased to announce that we will be the Construction Manager for the new Fox River Grove Public Works facility, working with Batavia-based architects Kluber Architect +Engineers, Inc. The facility will be 11,000 square feet, and plans include an all-brick building to keep regular maintenance costs down over time. The site plan for the project was approved at the Village Board meeting in July. Currently the project is in the design phase, with the Village Board holding meetings to discuss design layouts and to allow residents to learn more about the facility. Learn more in the Northwest Herald. 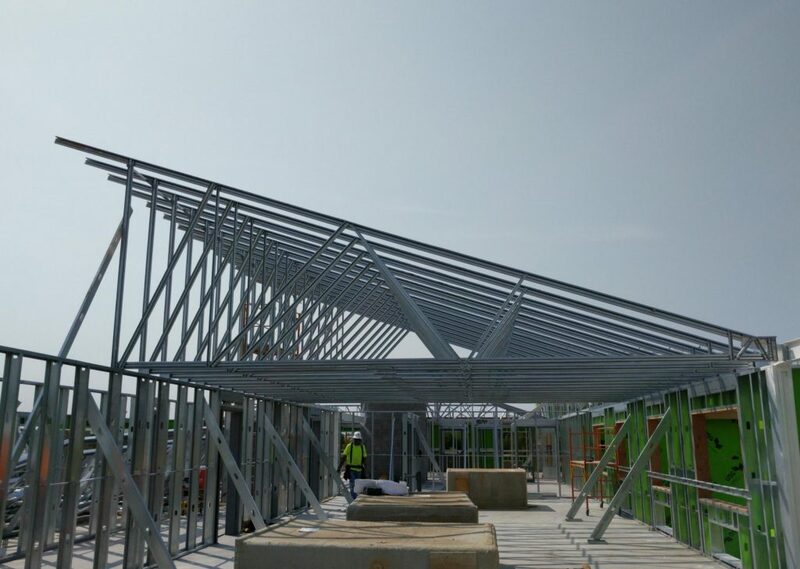 We are excited to be managing the construction of this project, and we look forward to sharing the progress as we go! Join our eList to stay informed about our ongoing and upcoming work, and exciting area construction news. 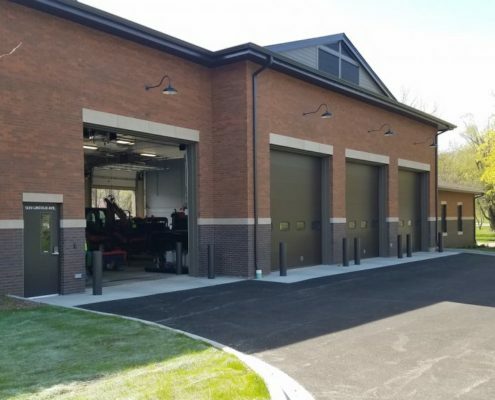 East Dundee residents have an opportunity to see what their tax dollars paid for during an open house celebration for the new fire station along Route 25. Set for 10 a.m. to 2 p.m. Saturday, the event will also include a dedication ceremony for the building. 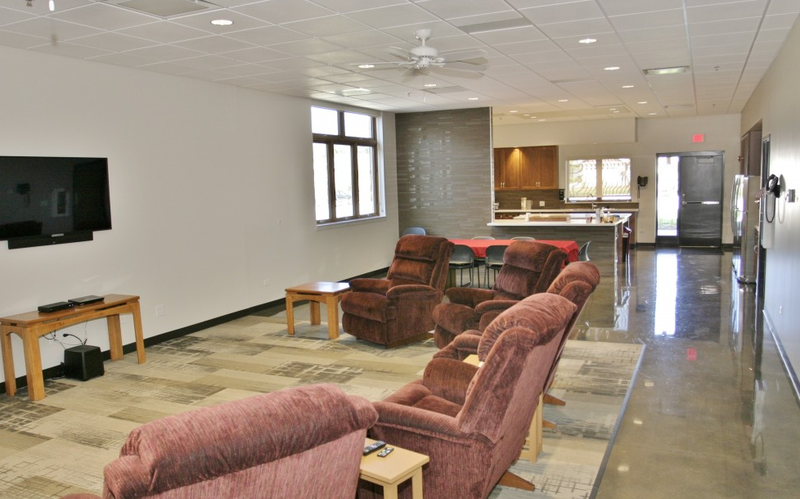 “The residents were kind enough to approve the referendum and now they get a chance to see the building for the first time and where their tax dollars have gone,” said Fire Chief Steve Schmitendorf. Saturday’s event will include tours of the station, refreshments, and activities for kids and adults. 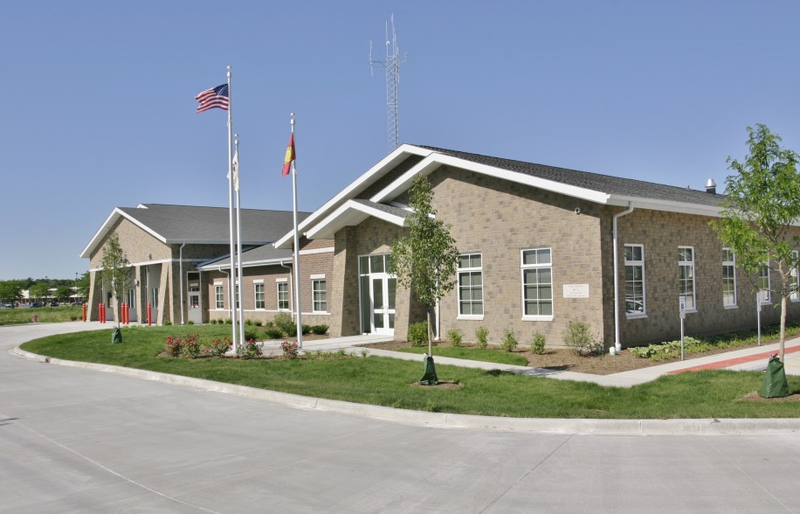 The dedication ceremony will be held at 11 a.m.
A $5.5 million referendum passed by taxpayers in November of 2012 made possible the new fire station, located near Routes 25 and 72. Fire officials said the area is more centrally located to serve their entire district, which extends as far east as Higgins Road and Route 90. The district serves the villages of East Dundee, South Barrington, Barrington Hills, and unincorporated Kane and Cook counties. The move also means more room for the East Dundee Police Department which will expand into the fire department’s old building. Fire officials were able to move into the new building in June. “We decided to wait and give us some time to get organized to do the dedication,” Schmitendorf said. 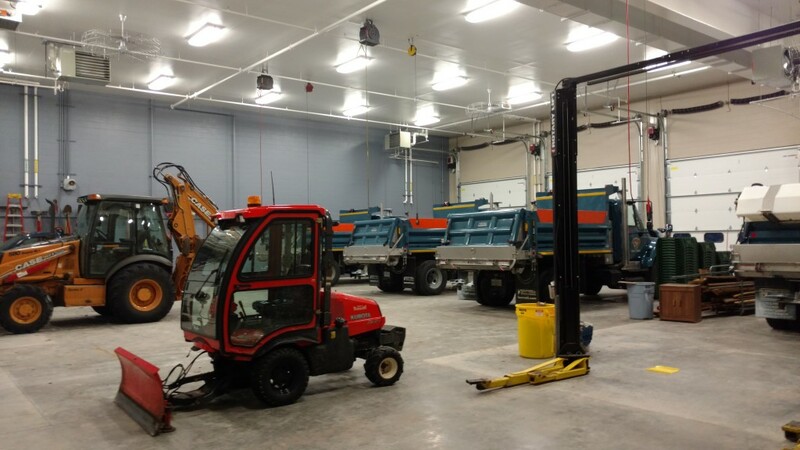 He said officials have already noted a great improvement in response times at the new site. “We’re in a better location to go in lots of different directions,” he said. And while officials are hoping for good weather Saturday, the event will be held rain or shine. 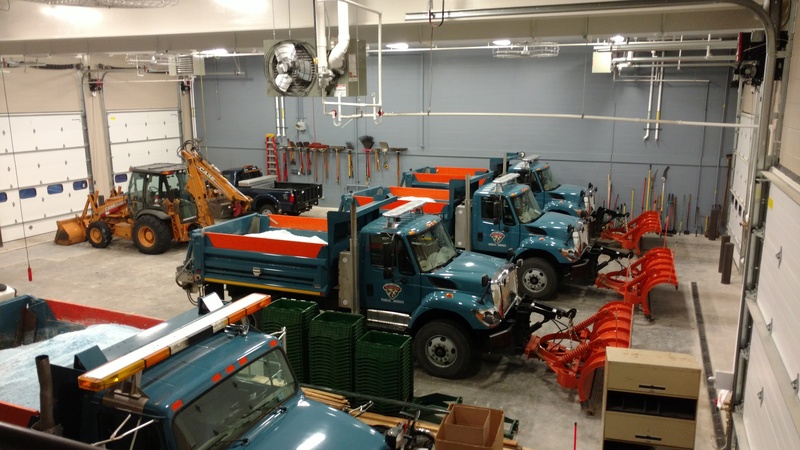 “We have a big enough station now so we can do a lot inside that we couldn’t do before,” Schmitendorf said. And because Fire Prevention Week is Oct. 5 through Oct. 11, “we’ll do the combination of the fire station dedication along with the open house and roll right into that,” Schmitendorf said. Another downtown East Dundee building is set to get a big makeover. OTTO President Tom Roeser, owner of the site at 220 N. River St., plans to expand and change the design of the building to create office space for about 30 people. Roeser did not specify which company is taking the space but said demolition on the building will likely happen next week. Initially, there was talk that the former Rakow office furniture building would be transformed into a two story structure that would be home to two restaurants. But Roeser said the office space will create more foot-traffic downtown East Dundee. Lamp Construction has been engaged to manage the project, Roeser said. He anticipates it will take about nine months to complete. 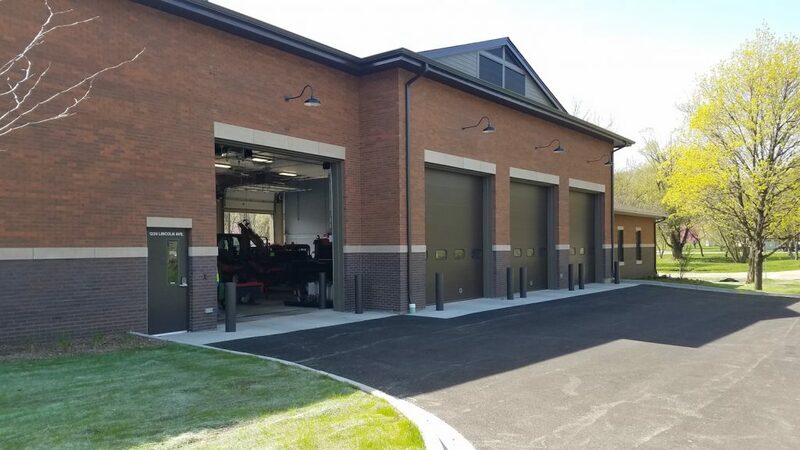 EAST DUNDEE — A year after construction began on East Dundee’s new fire station, officials moved this past week into their new digs along Route 25. 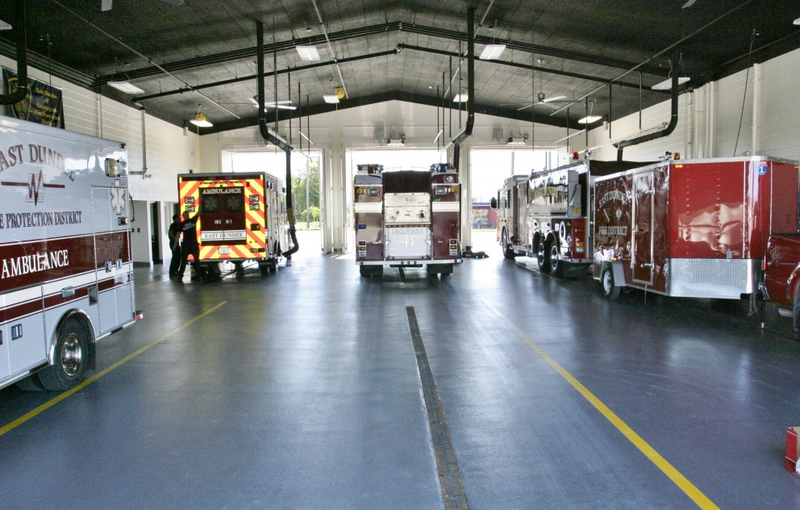 A $5.5 million referendum approved by taxpayers in November 2012 made possible the new fire station, located near Routes 25 and 72. Fire officials said the area is more centrally located to serve their entire district, which extends as far east as Higgins Road and Interstate 90. 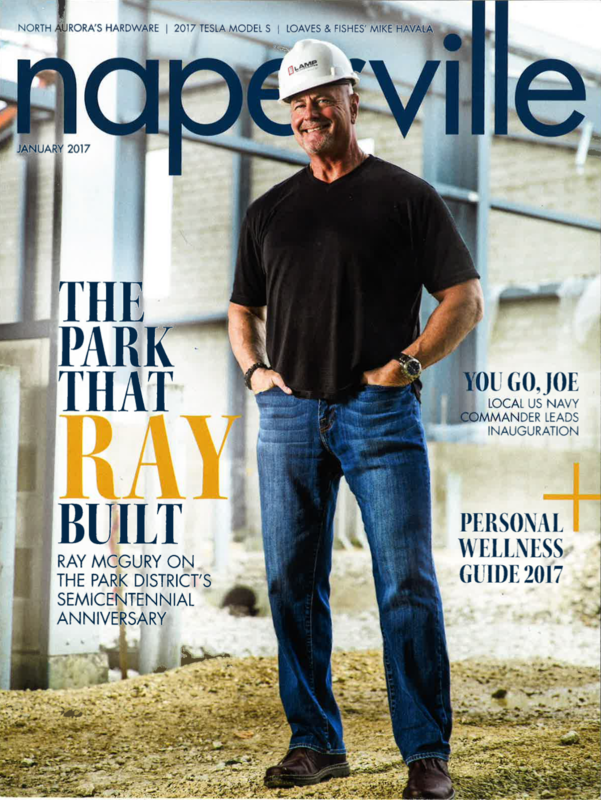 The district serves the villages of East Dundee, South Barrington and Barrington Hills, and unincorporated Kane and Cook counties. The move also means more room for the East Dundee Police Department, which will expand into the fire department’s old building on Third Street. Fire officials were able to move into the new building Monday. Schmitendorf said that for the most part, the project stayed on its projected timeline. The land the new fire station is built on is owned by the village. Both fire and village officials agreed to swap the land for the current fire department building. To make the exchange more equitable, since the village was receiving three acres of land with a complete building, East Dundee officials said they would donate $100,000 per year to the East Dundee Fire Protection District — a separate taxing body — for the 20-year life of the loan to build the station to offset payment of the bonds. A community open house is planned for the fall, to coincide with Fire Prevention Week. “We’re waiting because we want to do things in the building to spruce it up,” Schmitendorf said. Village President Lael Miller visited the facility Friday. As for the construction of the village hall and police station, Miller said those projects are going through the final design phase.